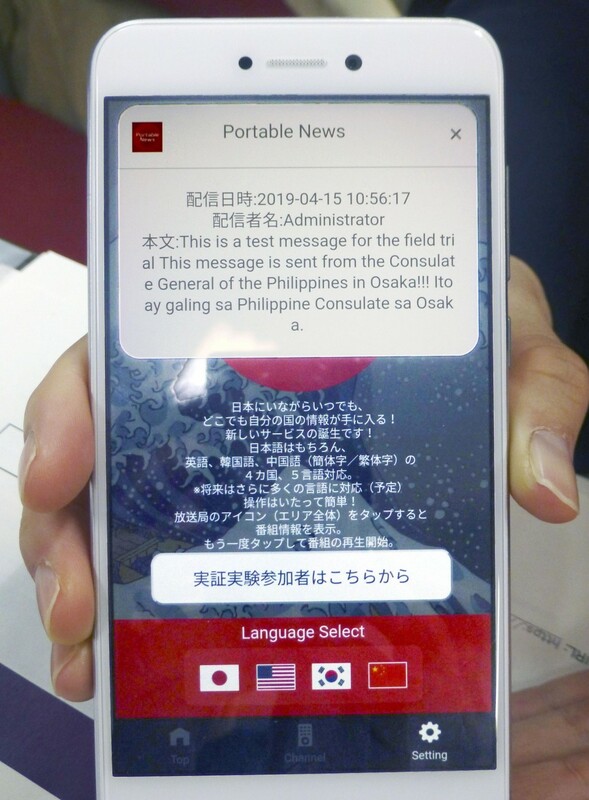 On Monday, personnel from the Vietnamese, Peruvian and Filipino consulates gathered at the bureau in central Osaka to confirm trial messages sent to smartphones using the existing news app for tourists, "Portable News." Consul General of the Filipino consulate Patrick Hilado said the system was easy to use, praising its ability to narrow down its intended audience. As fake posts and rumors often spread through Twitter and other social network media in times of disaster, the bureau plans to limit the sources of information to public institutions and disaster-relief organizations.